VPOQ Vacuum Pump Oil Quarts. - Holmes Plbg and Htg Supply Co.
VPOQ Vacuum Pump Oil Quarts. Working in basements and crawlspaces all day, you’re bound to get dirty. And so is your vacuum pump oil. Oil is the lifeblood of a vacuum pump and absorbs moisture and contaminants from the system. 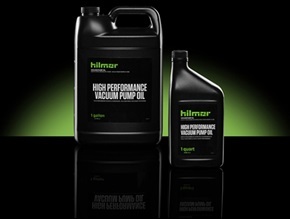 Clean oil means longer life for your pump and deeper, faster vacuum pulls.